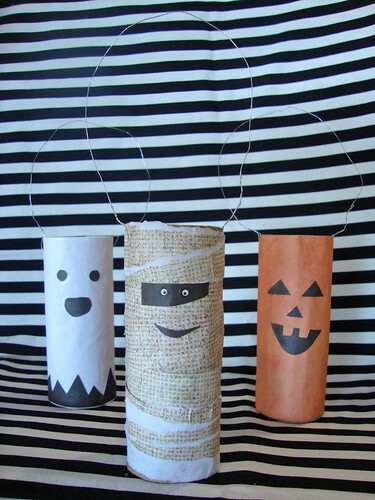 This year recycle your leftover toilet paper rolls into tubes of terror, by turning them in to Halloween-themed door knob decorations! Here's how. 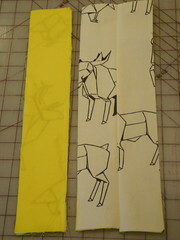 Cut paper to fit around toilet paper roll, allowing for an 1/2"-1" overlap. 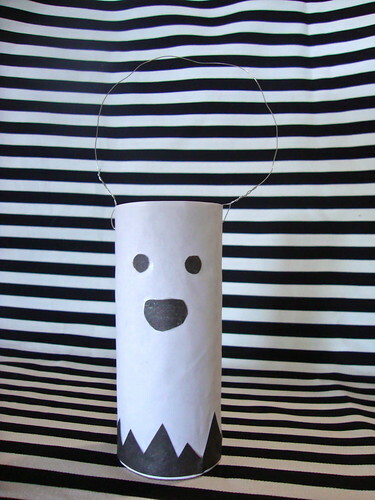 For the ghost and jack-o-lantern versions, use a piece of white or orange paper. 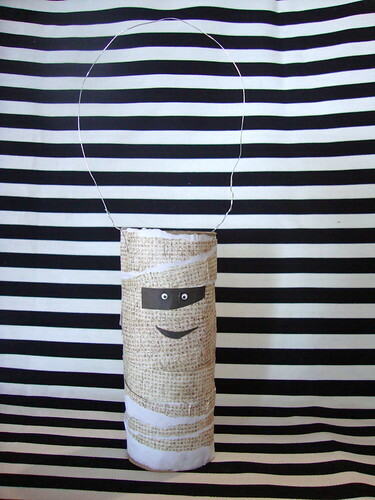 For the mummy version, cut several strips of linen print scrapbooking (or plain, off-white) paper. 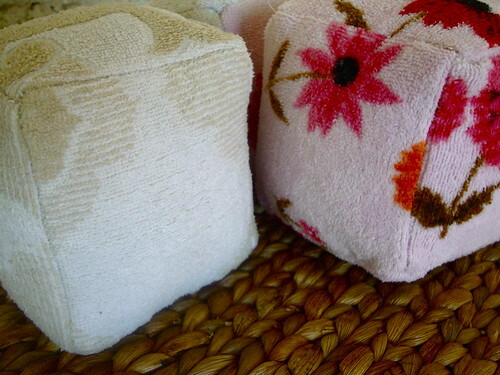 Apply glue to paper; wrap around toilet paper roll. For the mummy, apply one strip at a time, overlapping them as you go. Cut eyes and mouth out of scraps of black paper. Glue face onto roll. 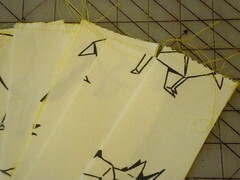 For the ghost, cut a zig-zag strip of paper; glue to bottom of roll. Punch (or poke with a pin) holes about 1/4" down from both sides of the top of the roll. Thread an 11" piece of wire or string through the holes; twist or tie to secure. Feeling creepy; feeling crafty? 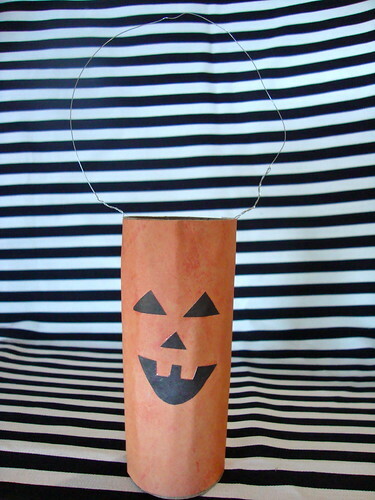 Don't forget about our other, Halloween crafts! 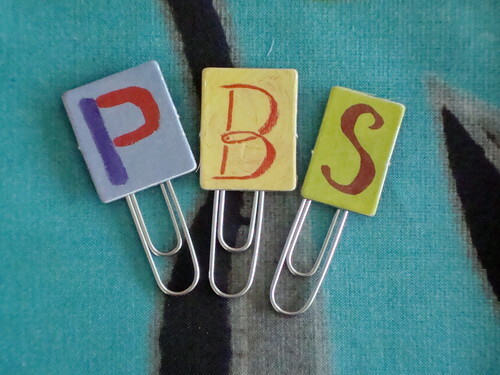 On a personal note, my one-year project with PBS Parents as the crafts columnist, has come to an end. It's been an honor to work with Tracey Wynne, and such a respected, public programming company. I've truly enjoyed my time spent here at Craft Apparent, hanging out with all of you parents who by crafting with and for your kids, have chosen to nurture creativity in the future leaders of our country. I dig that. 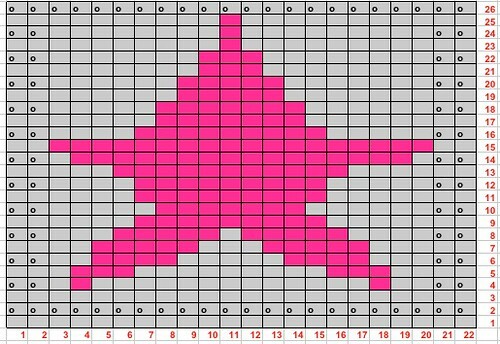 I hope you'll continue to check in with me for project information, over at VickieHowell.com. Have a safe (and crafty) Halloween! Halloween is like the crafter's Christmas, so how is it that this year's spooky month has crept up on me like a phantom? Here we are in October though, so it's time to whip together some quickie decorations that will thrill the kids without killing us busy parents! We're big fans of the spooky trees in our house. 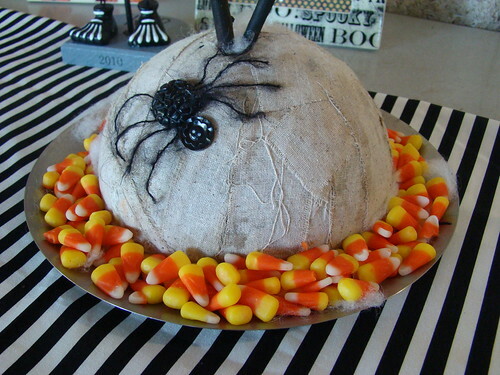 They're fun to decorate, make great candy displays, and add just the right combo of cute and creepy, to pretty much any setting. Here's how you can can make your own! Find a dead branch or (if they're smaller) branches. 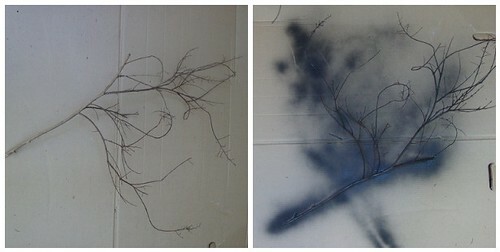 Spray or hand paint branch (if the kids are helping, I recommend the latter). 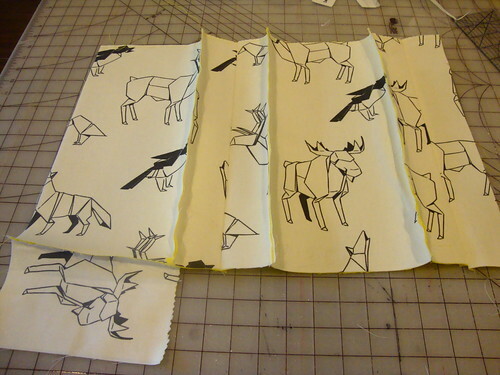 Rip fabric into strips (so edges are frayed); then cut into workable, short pieces. 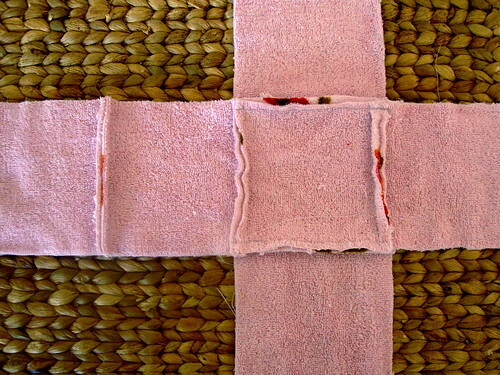 Using your finger or a popsicle stick, spread a layer of glue over a fabric strip. Lay strip on top of foam base; spread flat. Repeat process until foam is completely covered. Let dry. 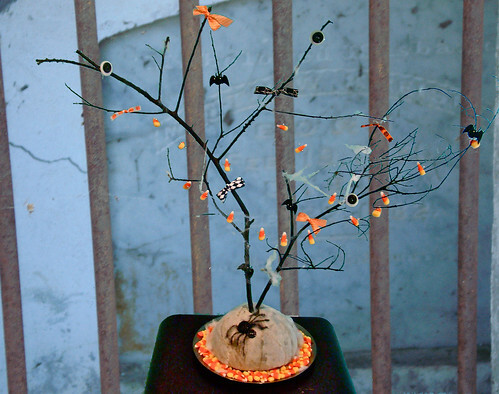 To make a tree-dwelling spider, glue small and large black buttons, side-by-side to base. Add 8, pieces of yarn or string to create legs. Place base on a plate. 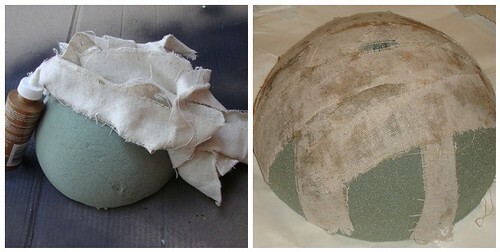 Use scissors to puncture a hole in the top of base; push branch(es) firmly into foam. 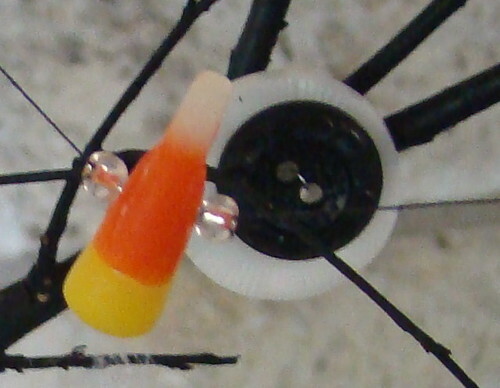 Make a candy corn garland by using a needle and thread to string candy and beads. It helps to tie a knot around each bead, to keep them in place. 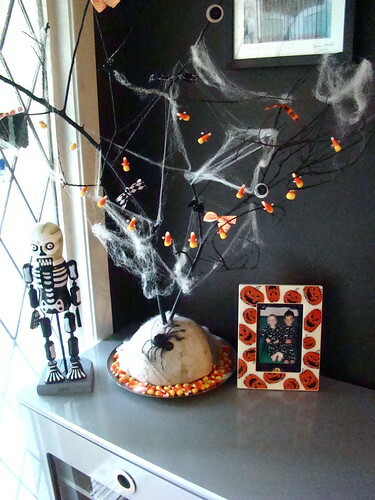 Drape garland on spooky tree; spread excess candy corn around base. Layer a smaller button on top of a contrasting colored, larger button. String a small piece of jewelry wire through button holes; twist wire around branch to secure it to tree. Repeat for as many button ornaments as desired. Note: If you don't have wire; use thread or sting to tie buttons to branches. Cut Halloween themed ribbon into varying sized pieces; randomly tie them into bows and knots throughout tree. Finish your spooky tree off by adding novelty webbing to any remaining, barren places on the tree. Hope your October is spooktacular! Whether you have pre-k kiddos at home or are the parent of elementary schoolers, mind-sharpening games are a great way to keep the kids learning while still having fun. 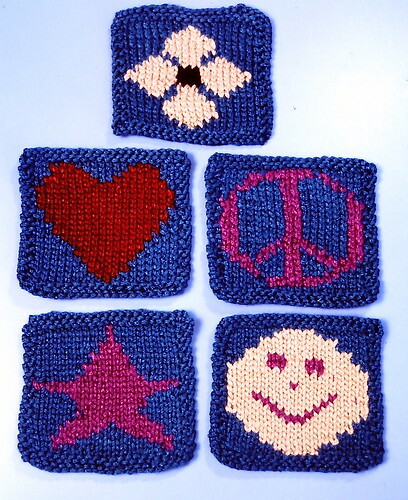 Knit these memory cards up as a gift, or or use them as a take-along game for trips. This game's a classic, so your handmade version will be used for generations! With Teal, cast-on 22 stitches. Working in stockinette stitch with a reverse stockinette border, follow the chards for each card. Make 2 of each. 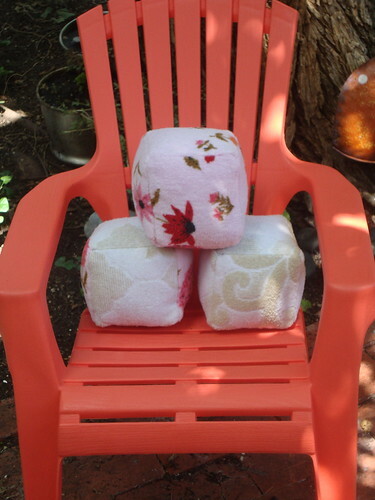 Cut fabric into 4 1/2" x 4 1/2" squares. Press 1/4" under each edge to create hem. Pin fabric square to back of memory card and sew on with needle and thread. Player lays all of the cards face down and then turns them over two at a time, trying to find a match. If the two cards selected do not match each other, then both cards are turned back over. The object of the game: to find all of the matches. Need a little knitting refresher course? See my how-to videos here! 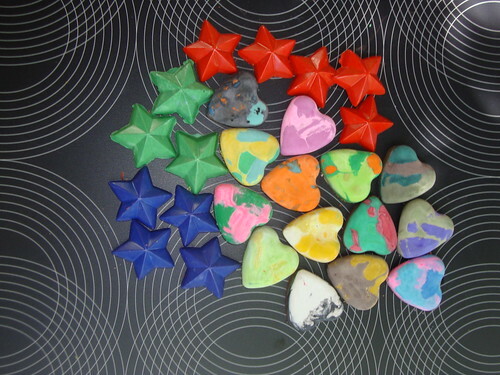 There may be nothing new about recycling crayons (after all, my mom was doing it in the 50's), but there's something about molding something old into a new version of itself that's so uniquely...now. 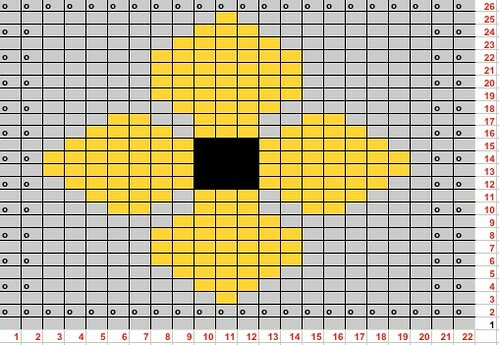 This project is a usable, versatile craft for all ages. 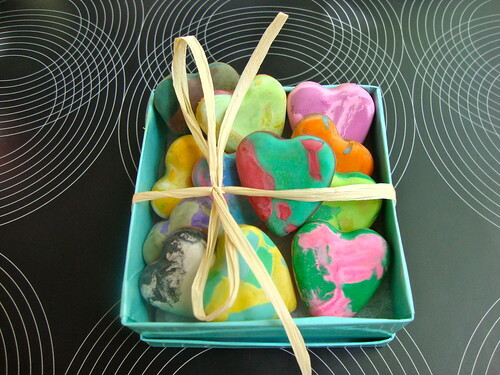 The finished product makes great teacher gifts, favors for birthday parties, or back-to-school treats for the kids. Have fun experimenting with different color combos and tray shapes--I personally, have my eye on on a robot ice tray for our next batch--and use this opportunity to chat with your children about everything from the basic chemistry of wax properties changing, to where colors fall on a color wheel. Have fun! 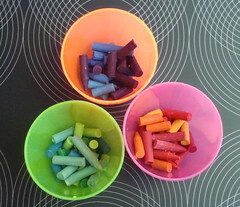 Combine like color pieces, into sacrificial cups (trust me, you won't want to drink out 'em after they've been crayon'd!). Cook in microwave until melted (about 5-9 minutes); stirring with skewer, as needed. 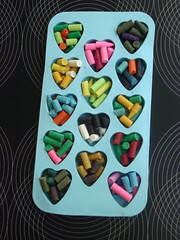 Pour melted crayon into candy mold. Work quickly, because the wax thickens fast! Break crayons into small pieces. Bake in oven at 250 degrees for 20 minutes, or until crayons are completely melted. Carefully remove from oven, taking care not to spill the hot wax. Place trays into freezer for about 30 minutes to harden. 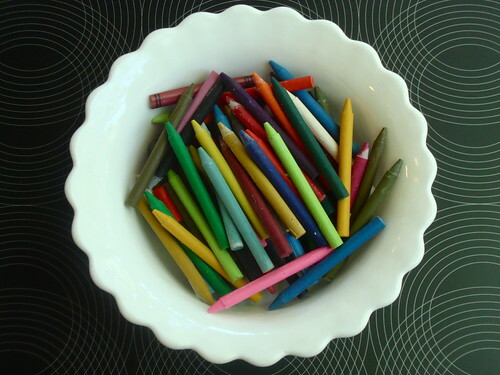 Pop your crayon creations out of the trays and enjoy! Nothing's better than a good summer read, and I've got just the craft to keep your kid's nose in a book! All you need are a few simple supplies, a little bit of time, and you and your child can create paper clip page markers. 2. Glue paper clip to the back of a decorative bit. 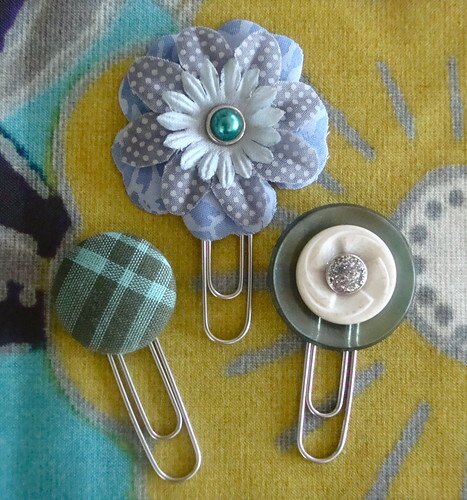 This is a great opportunity to use those random buttons collected from old clothes and grandma's sewing basket. 3. Let the bookmark dry on a piece of wax paper. While you're waiting, make some more. 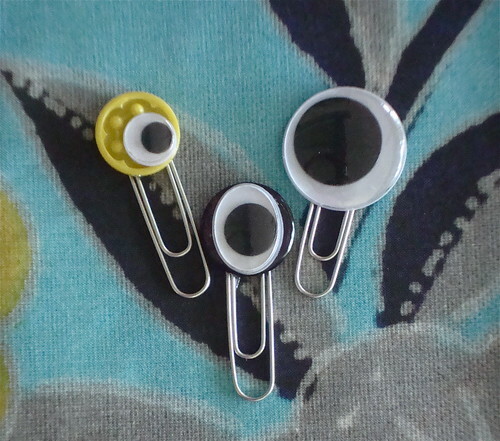 This time, play with layering buttons with silly bits like google eyes! Eye Spy a Good Read! Have crafty questions? Ask them here! It's rhyme time here on Craft Apparent and this week we're teaming up with Sesame Street again with two crafts for you! Start here with a new spin on an old game, Memory. 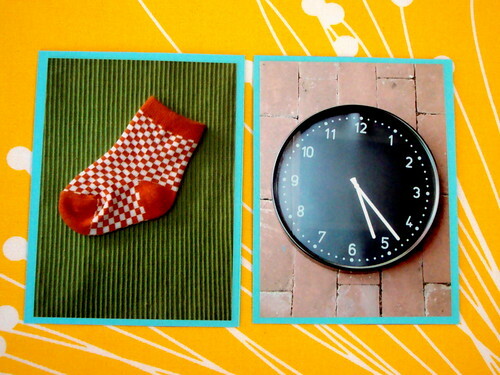 In the traditional version, the player turns cards over to reveal different pictures, hoping to find a match. In this version, the goal is to find the rhymes. Once this craft is picture perfect, cap-off your rhyme-themed creativity by heading over to Sesame's Kid-tivity page for instructions on making rhyme picture magnets out of recycled container lids. Let's get started! 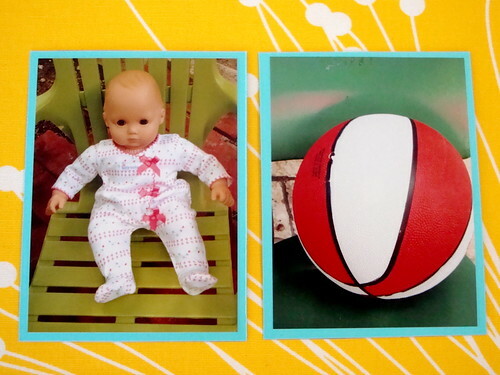 Use a camera to snap shots of objects around the household that rhyme. Get your kiddos involved in searching out the objects to encourage awareness of rhymes in their environment. Older siblings can get involved too, by being put in charge of shooting the photographs! Psst! Need a speedier route to getting this project done? I hear ya, mama (or dad)! Feel free to use my pictures instead of taking your own. Just right-click and save to your computer. Print out photos. I recommend having at least 4 different rhymes to create a game. The more advanced your child becomes, the more cards you can add in the future. 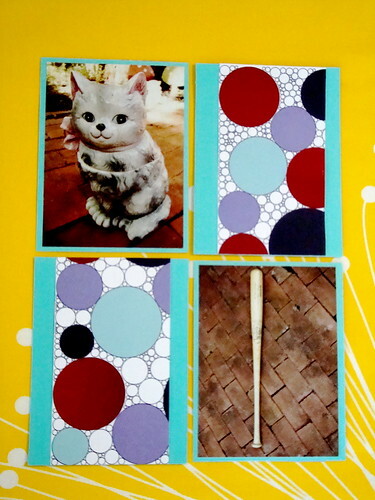 Cut 4 1/2" x 6 1/2" card stock pieces for each photo. Embellish card fronts by taping colorful paper strips to them. 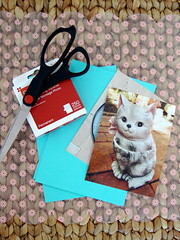 Use photo mounting squares or tape to stick photos on back of each card. Set up the game for your child by laying the cards all face down on a table and let the memory rhyming begin! 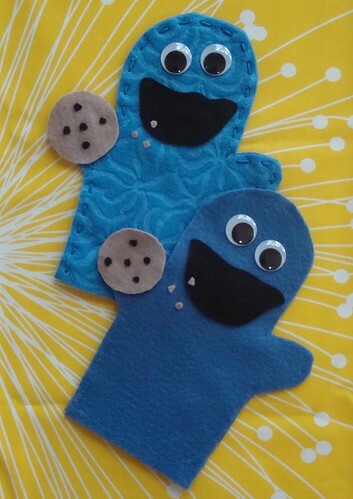 C is for Crafting: Cookie Monster Puppets! This week we've teamed up with the folks at Sesame Street to bring you double the crafty goodness! 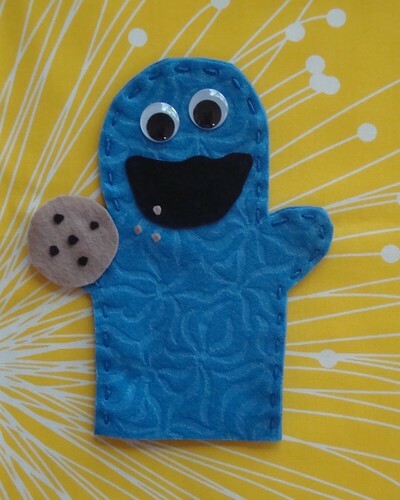 Your kiddos can make either no-sew or learn-to-sew versions of a basic, Cookie Monster puppet here at Craft Apparent then, let their fingers do the walking over to the Kid-tivity page of the Sesame Street website to draw their own Cookie Monster tote bag! That's 1, 2, TWO cookie-tastic creations! 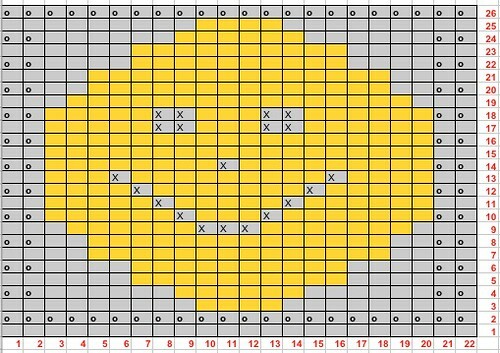 Print out puppet pattern at Original Size. Cut out. 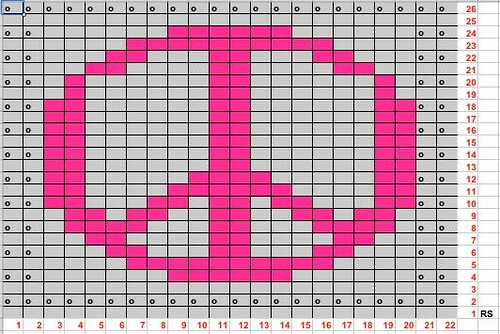 Trace patterns on to appropriate colored felt. Cut out 2 body pieces, 1 mouth and 1 cookie. Glue around the outer edge of 1 body piece; lay 2nd body piece on top. Glue on mouth, googly eyes and cookie. 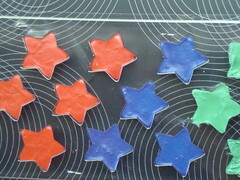 Cut out small pieces of black felt for chocolate chips; glue on to cookie. Cut out small pieces of brown for crumbs, glue on to mouth. 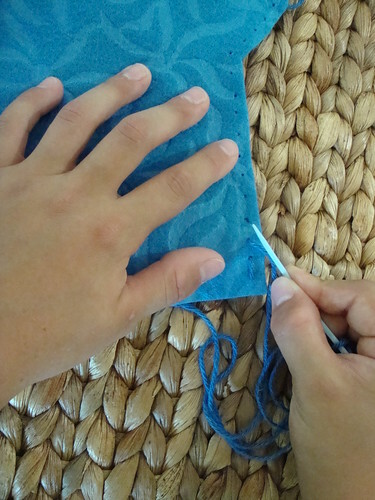 Felt puppets are a great project to teach children the very basics of hand-sewing. 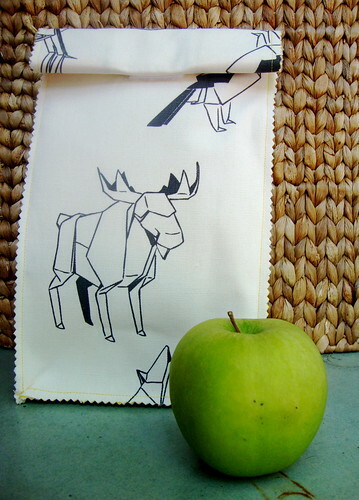 Here's how to use this same puppet pattern as a Stitching 101 tutorial for your kiddo! Cut out pattern and pieces as for No-Sew version. Holding BOTH body pieces together and using hole punch, make holes every 1/4" or so (and about 1/8" in from the edge) all the way around. String a long piece of yarn onto a plastic yarn needle; knot the end. 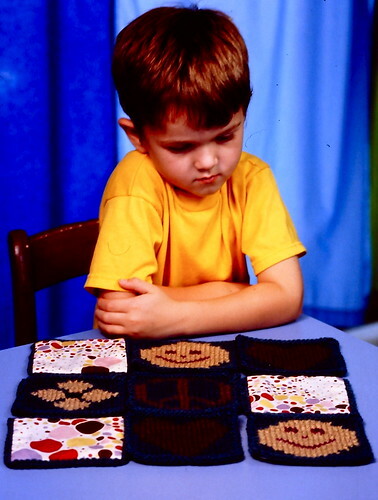 Show your child how to come up through the 1st hole of the two body pieces and down through the 2nd hole to make their first stitch. Then, have them repeat that stitch all the way around the puppet. Once puppet is completely sewn together, knot yarn and cut off. Glue cookie, eyes, mouth, chocolate chips and crumbs as for No-Sew Version. 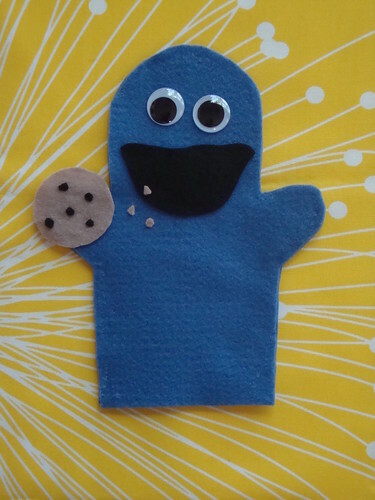 Place puppet on your hand and exclaim, "C is for crafting and that's good enough for me!" 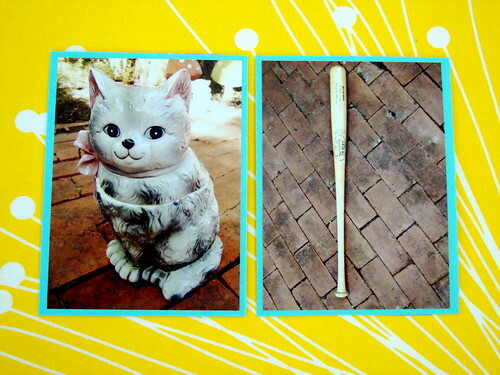 Posted by Vickie Howell on May 17, 2010 at 1:05 PM in General Crafts, Great Gifts! Is there anything that duct tape can't make or fix? I don't think so. Which is why this year for Father's Day I say, swing by the hardware store and let some tape do the gift-y trick! 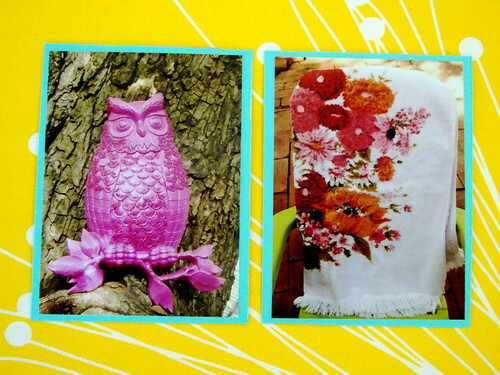 This week on Craft Apparent I show 3, no-sew projects that kids can make for dad (with a little help from mom) that are as cool as they are crafty. 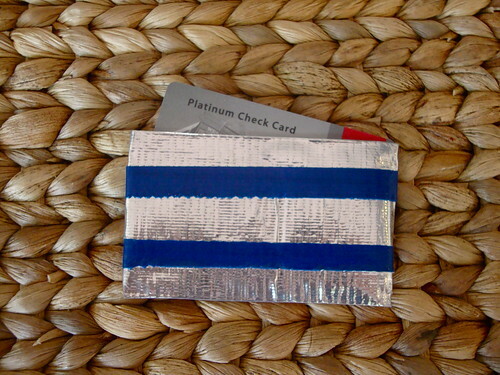 Here's the scoop on turning a few strips of sticky into a duct tape wallet, card holder or techie gadget sleeve! Measure dad's phone, pda or mp3 player, taking care to include the depth of the device in the overall width measurement. 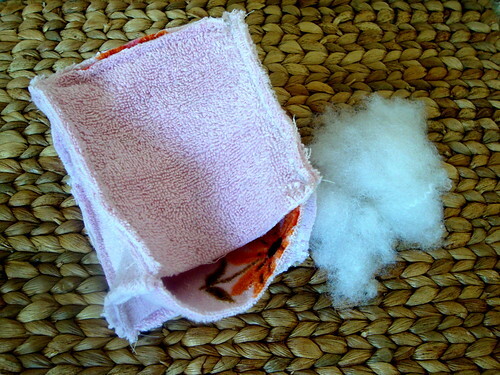 Add about a 1/4" to the length so that the sleeve will be a bit taller than the gadget it's covering. 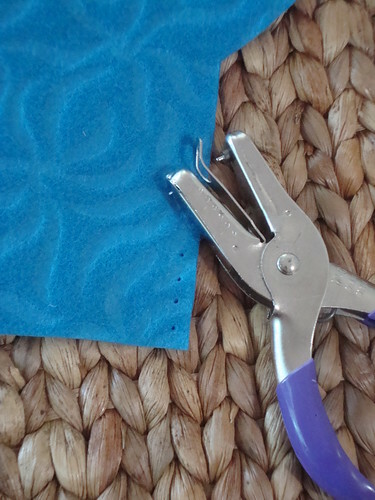 Create duct "fabric" by cutting tape strips to appropriate width; lay pieces sticky-side-up; overlap & stick. Repeat until piece is appropriate length. Then, layer pieces sticky-side-down on top of existing piece until it's completely covered. This completes the back piece of your gadget sleeve. (See below) Repeat once more, for sleeve front. For striped detailing, cut narrow strips of a contrasting color of duct tape. Stick diagonally onto sleeve front. Trim off excess. If desired, repeat on back piece. 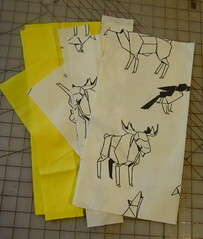 Use thin strips of tape folded over 3 sides to seal front and back pieces together to create sleeve. Create duct "fabric" using method above. 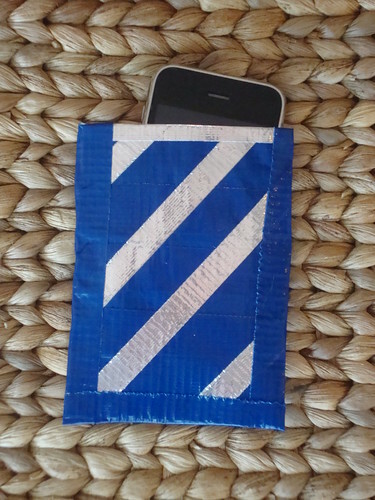 For the wallet you'll need front & back pieces each measuring 8" x 3", and an additional 3 1/2" x 2 1/4" pocket piece. Seal front and back pieces together with tape strips. Tape card pocket onto the righthand side of the front of the wallet. 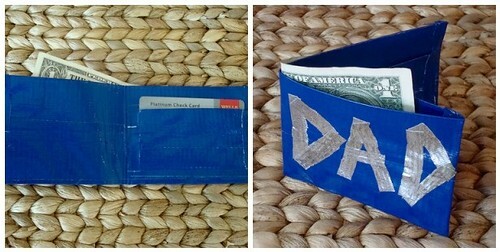 Fold wallet in half so that the pocket is now on the inside. 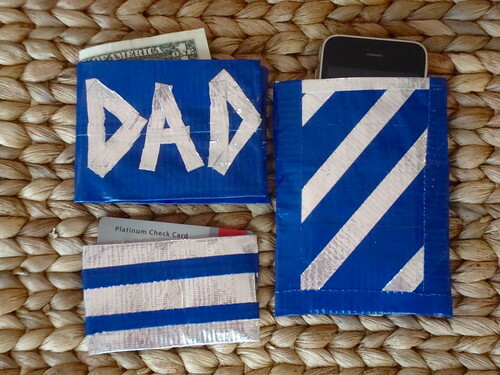 Cut several small pieces of contrasting tape; stick onto outside of wallet in "DAD" formation. Create duct "fabric". For the card holder you'll need front & back pieces each measuring 3 3/4" x 2 1/4". 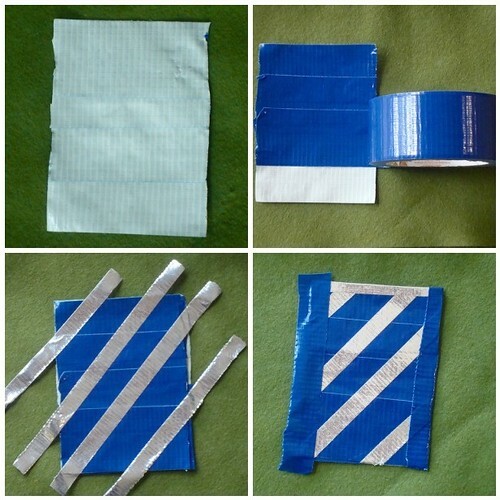 To create stripes cut 2, narrow pieces of tape and wrap them each around card sleeve. Got crafty questions? Ask me here!